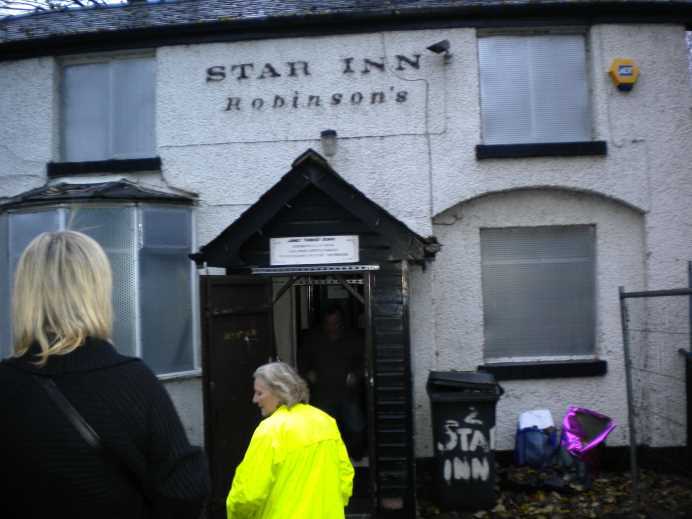 The weather may have been windy, wild and blustering: the rain pelting down, but what an exciting day it was for The Star Inn! Today another door opened on a new exciting chapter in the pubs history! They thought it was all over – but it wasn’t! In truth, it’s only just starting! The people entered the forsaken pub and claimed it as their own! 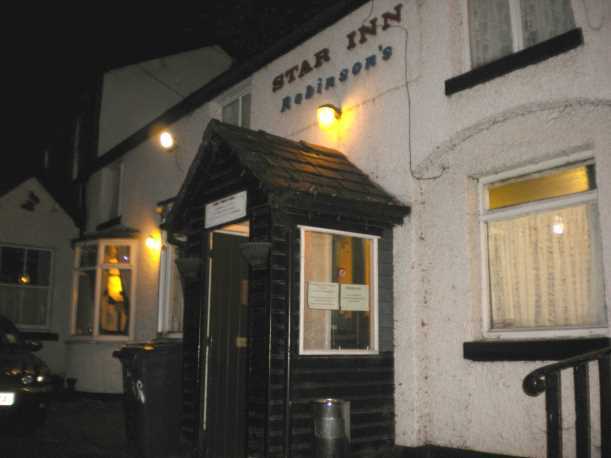 Unbelievably, a few short weeks ago, the Star Inn had a very uncertain future and was up for auction. The brewery may have abandoned it, but instead of fuming helplessly and looking for a new local, the people rallied round and saved it by putting their money where their mouths were! Filming continued today. Despite the rain, and the bar being dry, spirits were high and everyone is so full of hope for the future. Hard work will ensue as the pub opens its doors at 10 a.m. tomorrow and the practical jobs are distributed and sorted out. There are exciting plans in store for the peoples pub: including an indoor Ladies lavatory. Lots of social events and possibly even its own micro brewery are planned! What an exciting and heartwarming story this truly is. People are not only putting their money into their local, they are also putting their hearts, services and their time. The letters that spell out its name may have been taken back, but nothing can stop the Star from going forward: it’s bright light shining onwards as it has done for the best part of 140 years! Cheers! Yes, the proverbial Fat Lady has just sang, and it’s not last orders! 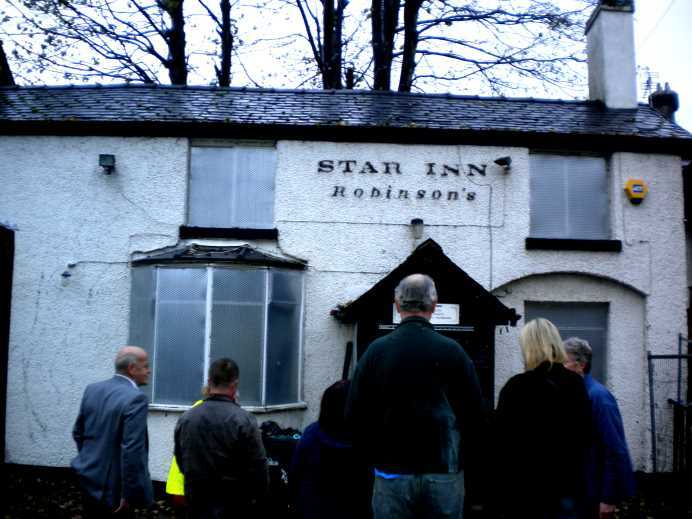 The regulars have only been and gone and done it….saved the Star from being flattend or converted or whatever unknown fate awaited it! Regulars got together and bid at for their beloved local when it came up at auction. They put their money where their mouths were and are now the very proud owners of this 1860s built pub! At a meeting last night at The Friendship Inn, Prestwich, the new owners and supporters were out in force to celebrate and ruminate about their plans for the future regarding their pub. Yes their pub! They have loads of ideas already about how to make the pub viable. There’s building work to be done and a manager to be got, but these are mere details: the mood is positive. The hard work shall begin as soon as possible, and they hope to be open for business in time for Christmas. It was strange to see these jubilent regulars out of their environment and in The Friendship and the atmosphere was so uplifting! 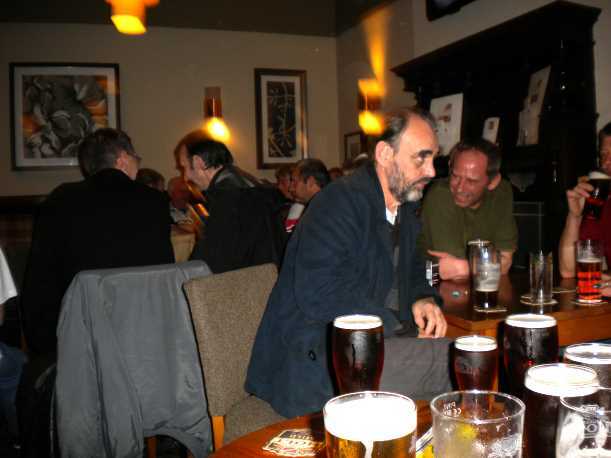 It’s people who make a pub, not the building, as was evidenced last night, I saw loads of people I hadn’t seen in years – a great night was had by one and all. There’s a meeting next Tuesday, same place same time and I’m really looking forward to it. Surely, with pubs closing at the rate of between 27 and 52 per week, this must give hope for those who are likely to lose their locals? It is nearly 30 years since my father and I discovered this pub. It became a firm favorite of ours and saw many a family celebration. I’ve not been in for a few years, but I’m going in tonight. It may be to say goodbye…but then again it may not be the last time I see this old friend … You see the pub is up for auction soon. Whoever buys it will knock it down to build! It’s a real ale pub too. But it’s not going to be demolished without a fight. The locals are fighting to save this hidden gem! In January of this year, the pub won the Neil Richardson Trophy from the Campagne for Real Ale, so it is even more of a mystery how this state of affairs has come about! The pub does have CAMRA on it’s side though and the locals are putting their money where their mouths are – so ANYTHING can happen!!! 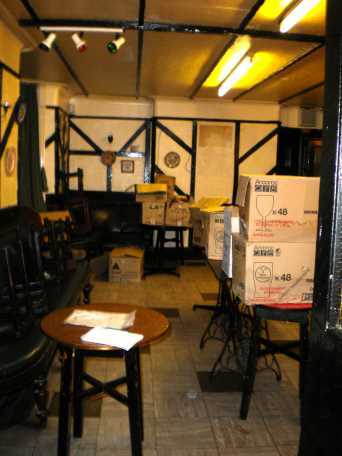 Of course, if you are interested in buying a stake in this historical pub ….HERE’S where the auctions at! It’s Showtime…at the Circus Tavern again! Once again we went for a drink in the tiny Circus Tavern Manchester. 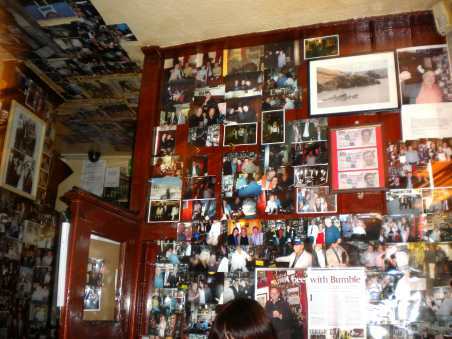 What a great little pub this is, so full of personality and personalities. This time we sat in the backroom. This is full of football memorabilia. As soon as you go into this pub, people start talking to you! Complete strangers start up conversations! Singing is positively encouraged! I couldn’t believe it! We got talking to a lovely couple and joined in the singing. Also we met these great lads from Longsight Manchester. This pub is highly recommended on a night on the town. The bar is tiny so it’s waitress service, and it’s always service with a smile! I went out last night..I won’t say ‘never again’, but NEVER AGAIN! All I can put it down to is the hot weather and drinking a wee drop too much! I’ve not had a hangover for years, I never drank alcohol at all for 5 years and never even missed it. But last night I found myself turning into Oliver Reed lol! In the past, I’ve often thought of running away to join the circus – well last night I did! We went to a pub that I’d never been to before. 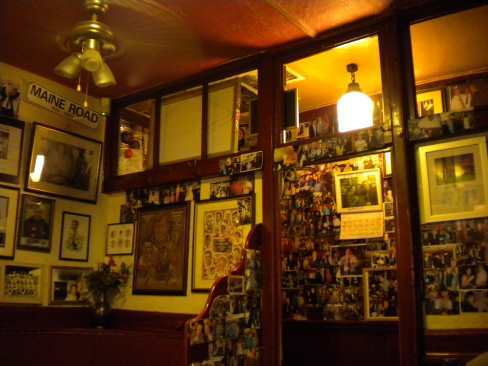 It is reputed to have one of the smallest bars in Britain. 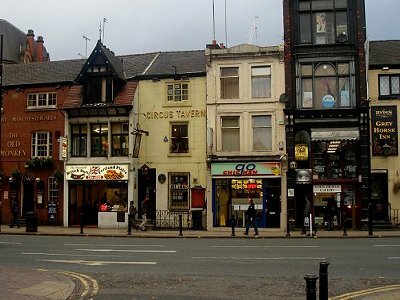 The Circus Tavern is situated at 86 Portland Street and is a tiny little pub, full of interesting people. 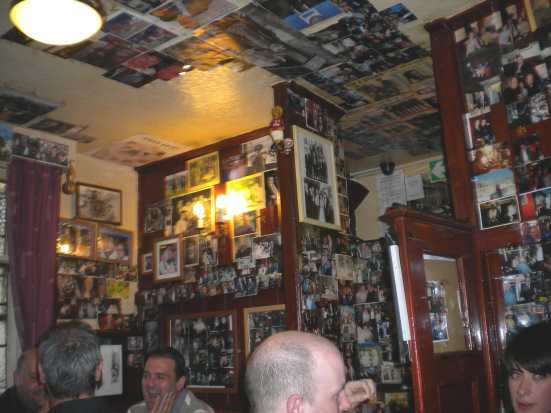 The walls are plastered with photographs and memorabilia. Apparently circus folk would meeet in this listed building before going on to do their circus acts in the nearby circus in Chatham Street. We met 3 interesting people last night. 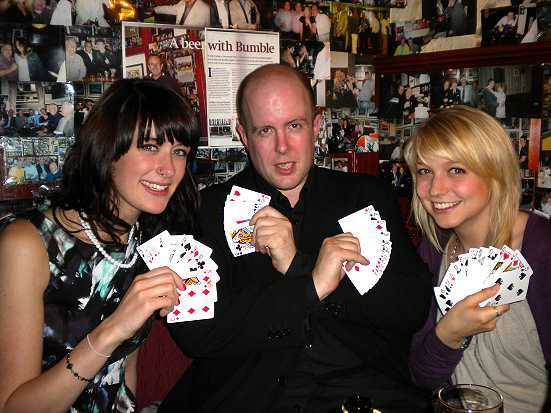 Katie, a Visual Arts student, Emma, a Design student and a Magician called Nemed Phoenix. He was rather good too, had us gasping with delight. I don’t normally like magic tricks, but his were REALLY good. He’s taking bookingsI believe and can be contacted at nemedphoenix@hotmail.com. Book early to avoid disappointement! Last Orders? 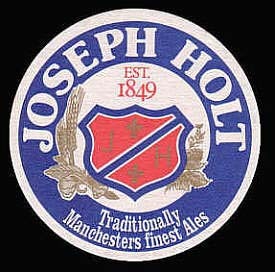 I’m Not calling a Joey Holt’s to it! What are ‘they’ actually trying to do? Don’t get me wrong, it’s great to go into a pub as an ex smoker. The Holt’s pubs seem to have done great here. 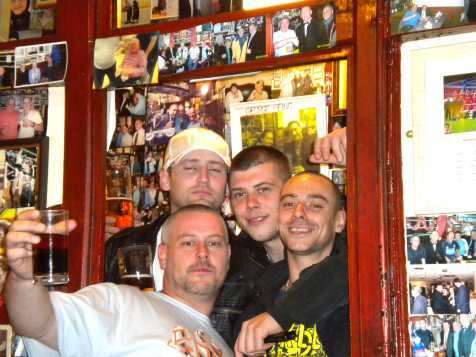 They have stuck to the tenet of the ‘Working man’s pint’…only there IS no working man any more….That hasn’t stopped them. Smoking and drinking and the working man go hand in hand. All the Holt’s (as in Joseph Holt) have smoking rooms outside. They are doing OK. They also offer curry nights, pizza nights and other cheap nights out. Sitting there tonight in quite a few different Holt pubs, I was aware that the mixture of people mostly consisted of 60s and 20s age groups. Me and hubby are in the middle of course. But it’s nice to know that this tradition shall still go on, and that some things never change.